Real flowers are so old school. Check this out! 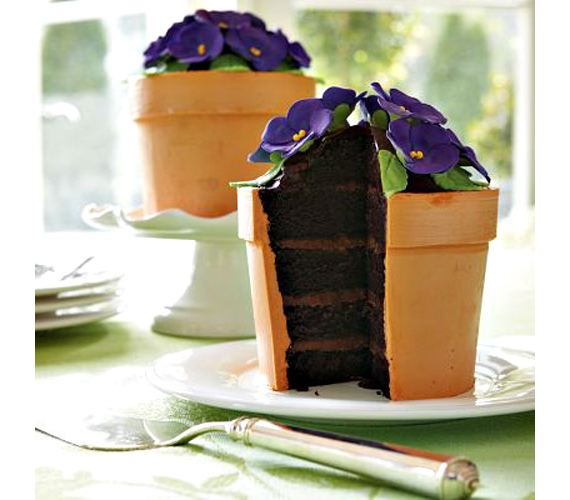 This chocolate devil’s food cake will arrive in the exquisite and absolutely true to life shape of a potted African violet. Described as a velvety-rich five-layer chocolate cake with chocolate-caramel truffle cream filling and coffee buttercream frosting, it’s topped with hand-sculpted sugar paste flowers and green fondant icing leaves. I wanna eat these blue flowers .